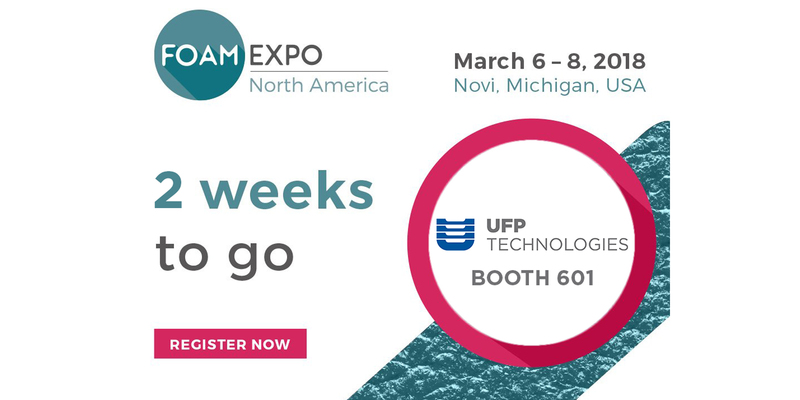 February 20, 2018 – Newburyport, Massachusetts - UFP Technologies, a producer of custom-engineered components, specialty packaging, and products, will be exhibiting at Foam Expo from March 6-8 at booth 601. At this year’s expo, UFP Technologies will be showcasing a variety of solutions for the automotive, aerospace/defense, and medical markets. We strive to deliver innovation across these industries by designing solutions which improve vehicle performance, protect vital combat equipment for our soldiers, and enhance patient safety and comfort. With diverse manufacturing capabilities including compression molding, lamination, and die cutting along with our vast array of foams from top suppliers across the globe, UFP Technologies has the resources, knowledge, and experience to solve our customers’ most complex challenges. 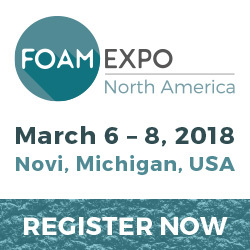 Foam Expo is North America’s first free-to-attend exhibition and conference for manufacturers and buyers of technical foam materials, products, and services.